Pictures! Description Options Get It! 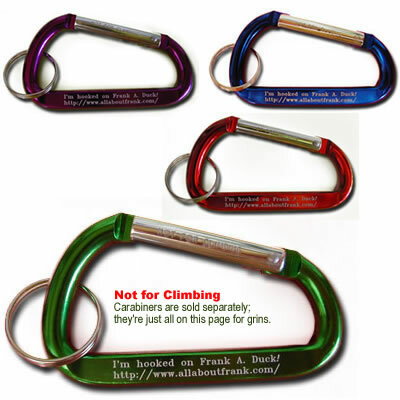 Hooked on Frank Keychain Carabiner. In the words of Devo, if a problem comes along, you must clip it. Clip it good. Even if your only problem is loose keys.